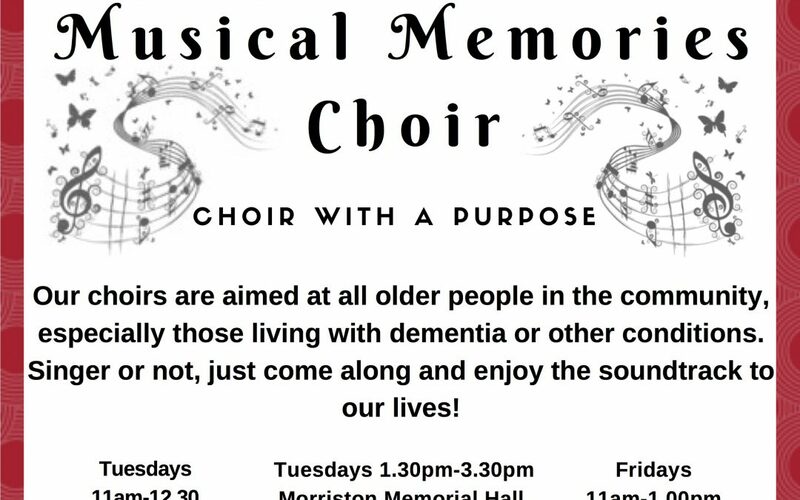 The Musical Memories Choir is a Red Cafe Community Project which began in 2015 in the Linden Church in West Cross. The aim is to welcome all older people in the community, especially those effected by dementia or other conditions. The original small group of around a dozen singers, has now grown to over 50 who meet up weekly to sing and eat lunch together. It’s a great place to socialise and a really lovely, friendly group to be a part of. All singing abilities are welcome! 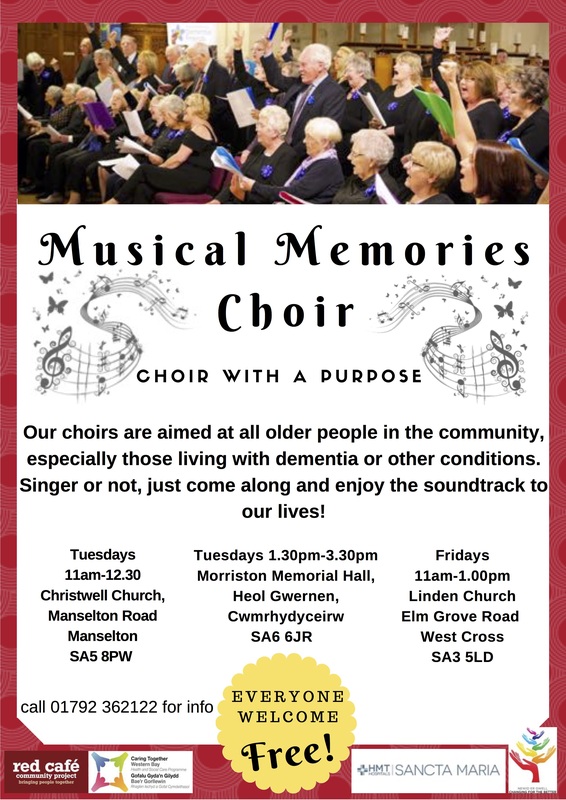 As the choir expanded, they joined up with Christwell Church in Manselton to create a second group which meets 11am – 12.30 every Tuesday morning. The latest addition to the Musical Memories family opened it’s doors this week on Tuesday 21st November at the Morriston Memorial Hall in Cymrhydyceirw. This new group will be meeting every Tuesday afternoon from 1.30pm to 3.30pm!